The Deans of New York’s 16 medical schools comprise AMSNY’s Board of Trustees. They provide vision and leadership for the organization, ensuring its initiatives reflect the core values of the medical schools and working towards the State’s preeminence in the fields of medical education, biomedical research, and patient care. Mark Taubman, MD is the Vice President for Health Sciences and Dean of the University of Rochester School of Medicine and Dentistry. He previously served as Chief of the Cardiology Division and then as Chairman of the Department of Medicine. After receiving his MD degree from New York University School of Medicine, he completed a residency in internal medicine and a fellowship in cardiovascular diseases at the Brigham and Women’s Hospital of Harvard Medical School. He is certified by the American Board of Internal Medicine in both internal medicine and cardiovascular disease. Dr. Taubman later joined New York’s Mount Sinai School of Medicine, where he developed a well-funded research program in vascular biology while serving as the Director of the Cardiology Fellowship, the Principal Investigator of an NIH training grant in molecular cardiology, and the Director of the Medical Scientist Training Program. In 2006, he received the Russell Ross Memorial Award of the Arteriosclerosis, Thrombosis, and Vascular Biology Council of the American Heart Association (AHA) in recognition of his research contributions. He was appointed as Chairman of the Research Committee of the AHA and soon named Editor-in-Chief of the AHA journal, with more than 120 publications, chapters, and scholarly writings to his credit. Michael E. Cain, MD came to the University at Buffalo in 2006 from Washington University School of Medicine in St. Louis, where he was Director of the Cardiovascular Division and Tobias and Hortense Lewin Professor of Medicine. Dr. Cain is a graduate of Gettysburg College and received his MD degree from George Washington University School of Medicine. He completed training in internal medicine and cardiology at Barnes Hospital / Washington University School of Medicine. He was a clinical / research fellow in clinical cardiac electrophysiology at the University of Pennsylvania School of Medicine. Dr. Cain is a fellow of the American College of Cardiology, the American Heart Association, and the Heart Rhythm Society. He is past president of the Association of Professors of Cardiology and the Heart Rhythm Society, and past chair of the Board of Directors of the Sarnoff Endowment for Cardiovascular Science. He is an internationally recognized physician-scientist and has received numerous awards for his research, including awards from the American Heart Association and the International Academy of Cardiology. 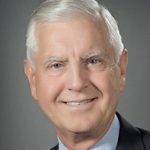 Lawrence G. Smith, MD, is the Physician-in-Chief of the Northwell Health System and Founding Dean of the Zucker School of Medicine at Hofstra/Northwell. Dr. Smith joined Northwell in 2005, as Chief Academic Officer and Senior Vice President of Academic Affairs, and then served as the Health System’s Chief Medical Officer. Dr. Smith earned his MD degree from New York University School of Medicine, along with a BS degree in physics from Fordham University. His residency in Internal Medicine at Strong Memorial Hospital was followed by military service as Captain in the Army Medical Corps at Fitzsimmons Army Medical Center in Denver. He practiced General Internal Medicine at SUNY Stony Brook, where he served as Director of Education and Program Director of the Residency in Internal Medicine for six years. During the following 11 years, at Mount Sinai School of Medicine in Manhattan he served as Dean and Chairman of Medical Education, founder and director of the school’s Institute for Medical Education, Professor of Medicine and an attending physician. Prior to his appointment as Dean, Dr. Smith had been Vice Chair of Medicine and Program Director of the Internal Medicine Residency at Mt. Sinai. He is a national leader in medical education with many peer reviewed publications and national presentations. He is a former member of the Board of Directors of the American Board of Internal Medicine and has served in multiple capacities in the Association of Program Directors of Internal Medicine, including President. He is a former Governor and a former Regent of the American College of Physicians. In April 2011, he was awarded Mastership of the American College of Physicians. Dr Smith is a Member-at-Large of the National Board of Medical Examiners and a member of the New York Academy of Medicine. He serves on the Advisory Committee on Long-Term Clinical Clerkships for the New York State Education Department. Lee Goldman, MD is the Executive Vice President for Health and Biomedical Sciences and Dean of the Faculties of Health Sciences and Medicine at Columbia University. He also holds dual positions as Professor of Medicine in the College of Physicians and Surgeons, and Professor of Epidemiology in the Mailman School of Public Health. Dr. Goldman received his MD degree at Yale University, where he also earned a Master’s degree in public health. He fulfilled his internship and residency at the University of California in San Francisco (UCSF) and at Massachusetts General Hospital, followed by a clinical fellowship in cardiology at Yale University School of Medicine. Dr. Goldman was a Professor of Medicine at Harvard Medical School and Professor of Epidemiology at the Harvard School of Public Health, while being the Vice Chair of the Department of Medicine and later Chief Medical Officer at Brigham and Women’s Hospital in Boston. He then served as the Julius R. Krevans Distinguished Professor and Associate Dean for Clinical Affairs at UCSF School of Medicine, where he chaired the school’s Department of Medicine, the leader in National Institutes of Health (NIH) grants and contracts. Dr. Goldman exhibits leadership as the current head of Columbia’s medical center and also demonstrates expertise in the application of statistical analysis through his innovative research on predictive models in care delivery. Vincent P. Verdile, MD is the Dean of Albany Medical College and Executive Vice President for Health Affairs of Albany Medical Center, positions he has held since 2001. He is also Professor of Emergency Medicine at the college. As Dean, he has helped the college to expand its academic programs. Approximately 40 percent of the region’s practicing physicians are alumni of the college. Dr. Verdile is responsible for four interdisciplinary biomedical research centers, bringing the latest medical treatment to patients while advancing the knowledge of various diseases. These research facilities have received more funding from the National Institutes of Health (NIH) than any other university or college in northeastern New York. Before coming to Albany Medical Center, Dr. Verdile had a number of academic and clinical appointments at the University of Pittsburgh School of Medicine where he completed his residency training in emergency medicine. Dr. Verdile is the author of more than sixty academic publications and has served on several editorial boards. He has served on numerous state and national committees and is past president of the New York Chapter of the American College of Emergency Physicians. He currently serves on the board of directors for Union Graduate College, the University Heights Association, and the Fort Orange Club. Gary C. Butts, MD is a pediatrician by training and has been part of the Mount Sinai Medical Center since beginning his training in pediatrics in 1980. He received his MD from Cornell University Medical College. Dr. Butts is currently Associate Dean for Diversity Programs, Policy, and Community Affairs, and directs the Center for Multicultural and Community Affairs at Mount Sinai School of Medicine, which is a Health Resources and Services Administration (HRSA) supported Center of Excellence for Minority Health and the lead partner in the HRSA funded Northeast Regional Alliance Health Careers Opportunity Program. He currently holds joint appointments as Professor of Medical Education, Pediatrics, and Preventive Medicine, and is an integral member of the medical center senior leadership team. His career pathway has involved many facets of academic medicine, including organizing and directing an academic medical center pediatric clinic, developing and administering innovative, cutting-edge community-based clinical services for both a medical center and local government, serving as NYC Deputy Commissioner for the largest municipal health department in the nation between 1993 and 1998, and directing diversity initiatives for the School of Medicine. Jo Wiederhorn has been the President and CEO of the Associated Medical Schools of New York (AMSNY) since 2002. Under her tenure the organization has focused its efforts on educating the public on the role medical schools have played in attracting and retaining an inclusive and diversified physician workforce. This has been accomplished through the development of pipeline programs across the medical education continuum. The organization has also focused its efforts on informing the public about the important role biomedical and life sciences’ research has on improving the health outcomes of NYS’ residents. Prior to her work at AMSNY she was the Chief of Staff to the Dean at NYU School of Medicine and Director of its’ Institute for Urban and Global Health. Prior to her tenure at NYU, Ms. Wiederhorn was the Chief of Staff to the President of the then Health and Hospitals Corporation and Associate Executive Director of MetroPlus Health Plan. 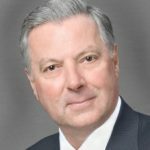 Gordon F. Tomaselli, MD, is the Marilyn and Stanley M. Katz Dean at Albert Einstein College of Medicine and Executive Vice President and Chief Academic Officer at Montefiore Medicine. Dr. Tomaselli earned his medical degree from Einstein in 1992. He returned to Einstein as dean in July 2018, after a long career at Johns Hopkins School of Medicine, where he was chief of the division of cardiology. Dr. Tomaselli’s research focuses on the heart’s ion channel structure, function and remodeling. His lab has been continuously funded by the National Institutes of Health for over 25 years. He holds several patents on methods to improve heart function and prevent arrhythmias, including an implantable device for the delivery of cell-derived biomolecules. He was elected to the American Society of Clinical Investigation in 1996 and has been a member of the Association of American Physicians since 2010. He has served on the editorial boards of a number of journals in cardiovascular science and medicine and has been a member of study sections for the NIH, the American Heart Association and the California Tobacco Research Fund. Dr. Tomaselli was president of the American Heart Association from 2011 to 2012. He was editor-in-chief of the Journal of Clinical Investigation from 2017 to 2018, and is now the journal’s deputy editor..
Dr. Erica Friedman serves as interim dean and medical professor of the CUNY School of Medicine, which is the only medical school in the City University of New York system. In addition to being interim dean of the medical school, Dr. Friedman also serves as deputy dean for medical education. Being board certified in Internal Medicine and Rheumatology, Dr. Friedman has worked in academic medical centers in New York City including NYU School of Medicine, New York Medical College and the Icahn School of Medicine at Mount Sinai. She received her combined BS/MD degree from Penn State/Thomas Jefferson University Medical School in Philadelphia, PA, and came back to New York City for her postdoctoral and residency training. She is an American College of Physicians Fellow and a member of the American Medical Association. Dr. Friedman is an expert in medical education, having over 33 years of experience at academic medical centers. She has received numerous awards for her teaching innovations. Highlights in her research portfolio include serving as principle investigator on a multi-year grant from the American Medical Association and as co-investigator to create a health professions pipeline program. She is associate editor for MedEdPORTAL and serves as a reviewer for prestigious medical journals such as Academic Medicine, Annals of Internal Medicine, Journal of General Internal Medicine and Teaching and Learning in Medicine. Dr. Friedman has extensive experience in medical school accreditation with the Liaison Committee on Medical Education (LCME) having led the school through its preliminary, provisional and now full accreditation processes. Dr. Friedman is passionate about advocating for diversity and equity in the physician/PA workforce and for being a change agent for needed systemic healthcare reform that will lead to health and quality of life improvements for individuals, communities and our nation, particularly those that are chronically underserved. Dennis S. Charney, MD is the Anne and Joel Ehrenkranz Dean of the Icahn School of Medicine at Mount Sinai and President for Academic Affairs of the Mount Sinai Medical Center. He received his MD degree from Pennsylvania State University and completed his residency in psychiatry at Yale School of Medicine. During his tenure at Mount Sinai, the school has risen to the top twenty institutions in National Institutes of Health (NIH) funding, and ranks third in funding per faculty member from the NIH. In 2006, Dr. Charney unveiled Mount Sinai’s $2.25 billion strategic plan that laid the foundation for the robust 15-institute structure that Mount Sinai is known for today. These institutions are hubs of scientific and clinical enterprise, working together to challenge the limits of science and medicine. Dr. Charney himself is a world expert in the neurobiology and treatment of mood and anxiety disorders. A prolific author, Dr. Charney has written more than 700 publications, including groundbreaking scientific papers, chapters, and books. 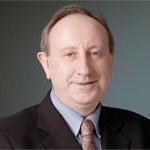 He has authored many books, including Neurobiology of Mental Illness; The Peace of Mind Prescription: An Authoritative Guide to Finding the Most Effective Treatment for Anxiety and Depression; The Physicians Guide to Depression and Bipolar Disorders; Resilience and Mental Health: Challenges Across the Lifespan; and, Resilience: The Science of Mastering Life’s Greatest Challenges, for lay audiences. Wolfgang Gilliar, DO, is the Dean of New York Institute of Technology’s College of Osteopathic Medicine (NYITCOM). He earned his DO degree from Michigan State University College of Osteopathic Medicine and completed his internship at Riverside Osteopathic Hospital in Trenton, MI, followed by a residency in at the National Rehabilitation Hospital in Washington, D.C., where he also served as Chief Resident. Dr. Gilliar is Professor and Chair in the Department of Osteopathic Manipulative Medicine (OMM) at NYITCOM. He served as Adjunct Clinical Assistant Professor at Stanford University School of Medicine, Palo Alto, CA, where he also was the founder and director the Osteopathic Manual Medicine Center of California. Prior to California, Dr. Gilliar was an Assistant Professor at Tufts University School of Medicine, Boston, where he was also the Director of the Acute Traumatic Brain Injury Unit at Greenery Rehabilitation Center, and Director of the Spine Center at Mount Sinai Hospital, in Stoughton, MA. Dr. Gilliar was awarded the Special Teaching Award twice (1998 and 2004) by the Stanford University School of Medicine Department of Physical Medicine and Rehabilitation. He received the Arnold Meister Award for physics research while at the University of Arizona. In 1986, he received the Michigan Association of Osteopathic Physicians Award of Excellence. Publications include more than ten medical texts and numerous journal articles. 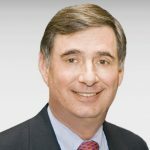 An internationally recognized diabetes researcher, Jerry L. Nadler, MD, MACP, FAHA, FACE Dean, School of Medicine Professor of Medicine and Pharmacology New York Medical College, has been a member of a Special Advisory Committee on Type I Diabetes with the director of the National Institutes of Health (NIH). In addition, he had been a standing member of the American Diabetes Association, American Heart Association, and NIH grant review committees. In 2011, he won the Dean’s Outstanding Faculty Award at Eastern Virginia Medical School, and in 2013 was appointed to the Planning and Oversight Committee of the new Virginia Biosciences Health Research Corporation. He was elected to the American Society of Clinical Investigation based on excellence in research. Dr. Nadler’s groundbreaking contributions—which focus on understanding cardiovascular complications of diabetes and obesity—include his work in identifying inflammatory pathways leading to pancreatic beta cell damage, insulin resistance and atherosclerosis. His research has led to the development of preventative therapies and the identification of new small molecules blocking 12-Lipoxygenase activity. He has research funding from the NIH as well as the Juvenile Diabetes Foundation and his current work is designed to determine whether a virus could be a trigger for Type 1 diabetes. A leader in biomedical innovation, Dr. Nadler holds 15 patents for biomarkers and novel therapeutics, and has taken on leadership roles in launching numerous bio-tech startup companies. Robert Grossman, MD, the Dean of NYU School of Medicine and CEO of NYU Langone Health since 2007, leads both NYU School of Medicine and NYU Langone Health, including the Tisch Hospital, the Rusk Institute of Rehabilitation Medicine, and the Hospital for Joint Diseases. He received his BS degree in biology, Phi Beta Kappa, from Tulane University and his MD degree from the University of Pennsylvania, where he was elected to Alpha Omega Alpha. He completed his internship at the Beth Israel Hospital in Boston in 1973, then two years of a neurosurgery residency followed by a radiology residency at the University of Pennsylvania and a two-year fellowship in neuroradiology at the Massachusetts General Hospital. He is board-certified in radiology and neuroradiology. Dr. Grossman joined NYU in 2001 as the Louis Marx Professor of Radiology, Chairman of the Department of Radiology, and Professor of Neurology, Neurosurgery, and Physiology and Neuroscience. Previously, at the Hospital of the University of Pennsylvania, he had been Professor of Radiology, Neurosurgery, and Neurology; Chief of Neuroradiology; and Associate Chairman of Radiology. 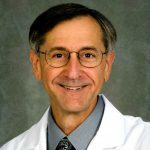 Dr. Grossman has received awards for his work in research from various organizations over the years, including the National Institutes of Health (NIH), the American Society of Neuroradiology Education and the Research Foundation, and the International Society in Magnetic Resonance in Medicine (ISMRM). Kenneth Kaushansky, MD, MACP earned his BS and MD degrees from the University of California, Los Angeles, and completed his internal medicine internship, residency and chief medical residency, and fellowship in hematology at the University of Washington. Following his service as Hematology Section Chief at the University of Washington Medical Center, Dr. Kaushansky was named Helen M. Ranney Professor and Chair of the Department of Medicine at UC San Diego in 2002. 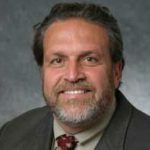 More recently, Dr. Kaushansky was named Senior Vice President for Health Sciences and Dean of the Renaissance School of Medicine at Stony Brook University. In his career, Dr. Kaushansky has been a successful teacher, clinician, and biomedical researcher. His laboratory work has led to several significant discoveries, for which he has received numerous awards. He has been recognized for his scientific and clinical contributions by election as a Master of the American College of Physicians, and to several honor societies including the American Society for Clinical Investigation, the Association of American Physicians, the Institute of Medicine of the National Academies of Science, and the American Academy of Arts and Sciences. Carlos N. Pato, MD, is the Dean of the College of Medicine at SUNY Downstate Medical Center. He was formerly the Franz Alexander Professor of Psychiatry and chair of the Department of Psychiatry and Behavioral Sciences at the Keck School of Medicine of the University of Southern California (USC). Under Dr. Pato’s leadership, the department greatly expanded its research portfolio, recruiting eminent scientists who pioneered methods for brain transcription mapping and single cell transcription studies that have been integral to the development of the Center for Genomic Psychiatry (CGP) at the USC Keck School of Medicine. Dr. Pato has held a number of prestigious academic positions, including Vice Chair of Psychiatry and Associate Dean for Clinical Affairs at SUNY Buffalo; Associate Chief of Staff for Research at the Washington, DC VA Medical Center; and several research center directorships. Dr. Pato is a graduate of Brown University. He completed his MD and research training at the University of Cincinnati and his residency in psychiatry at Massachusetts General Hospital. A fellowship at the National Institute of Mental Health (NIMH) followed his residency. As senior vice president and dean, Julio Licinio, MD, PhD, oversees the academic activities of the basic and clinical science departments, including education (degrees offered include MD, MPH, MD/PHD) and research in the College of Medicine. Dr. Licinio’s appointment to Upstate follows a nearly 30-year career in academic medicine, marked by a record of success in leading academic programs of training, research, patient care and community engagement, both nationally and internationally. His leadership and work in building clinical and translational science institutes and programs is a highlight of his work at UCLA, the University of Miami and the Australian National University. A native of Brazil, Licinio earned his medical degree from the University of Bahia School of Medicine in Salvador, Bahia, Brazil (1982) and completed an internship in internal medicine at the University of Sao Paulo Medical Centre, Brazil (1983-1984). He completed a fellowship in medicine/endocrinology at the Pritzker School of Medicine at the University of Chicago (1984-1985). He then completed an internship in psychiatry at Montefiore Medical Center-Albert Einstein College of Medicine (1985-1986) and a research track residency in psychiatry and served as a clinical associate and senior clinical associate in psychiatry, all at Cornell University Medical College, now Weill Cornell Medical College. He holds a PhD from Flinders University, Adelaide, Australia (2017). Dr. Steier is the Executive Dean and a Professor of Medicine at the Touro College of Osteopathic Medicine Campuses in Middletown and New York City. He is Board Certified in Internal, Pulmonary and Critical Care Medicine. He formerly served as Associate Dean and Chair of the Department of Medicine at the Kansas City University of Medicine and Biosciences, as well as a Clinical Assistant Dean at the New York College of Osteopathic Medicine. He holds master’s degrees in business administration, public health, geriatric health, and health administration. 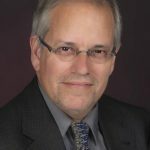 Dr. Steier is an accreditation surveyor for the American Osteopathic Association (AOA), a grant reviewer for the Health Resources Services Administration and a consultant for the Food and Drug Administration. He received a bachelor of science in biology from the State University of New York at Stony Brook, and his doctor of osteopathic medicine degree from the New York College of Osteopathic Medicine. Dr. Augustine M.K. Choi is the Dean of Weill Cornell Medicine. He is also the Sanford I. Weill Chairman of the Joan and Sanford I. Weill Department of Medicine and the Physician-in-Chief at NewYork-Presbyterian/Weill Cornell Medical Center. Before joining Weill Cornell Medicine in 2013, Dr. Choi was the Parker B. Francis Professor of Medicine at Harvard Medical School and Chief of Pulmonary and Critical Care Medicine at the Brigham and Women’s Hospital. Dr. Choi received his MD from the University of Louisville in 1984 and completed his Internal Medicine residency in 1987 at Duke. He then pursued his Pulmonary/Critical Care Medicine fellowship at Johns Hopkins from 1987-1990, serving as a faculty member in the Division of Pulmonary and Critical Care Medicine at Johns Hopkins from 1990-1998 and at Yale from 1998-2000. He was Chief of the Division of Pulmonary, Allergy and Critical Care Medicine at the University of Pittsburgh from 2000 to 2007 and then moved to Harvard Medical School and Brigham and Women’s Hospital in 2007.